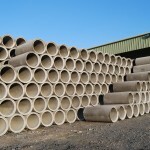 Tracey Concrete manufacture a wide variety of concrete pipes. 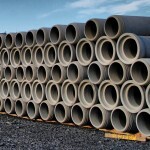 Spigot & Socket Concrete pipes are a watertight drainage pipe used for sewer and storm waste water. A watertight seal is fitted to the pipe then the spigot end is pushed into the socket of the pipe. Ogee Concrete pipes are a land drainage pipe used for drainage of fields, no seal is used when installing these pipes. 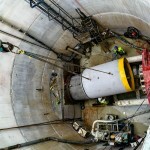 Jacking Concrete Pipes are a specialised tunnelling pipe, the jacking pipe is lowered into a shaft behind a TBM (tunnel boring machine)then pushed underground by hydraulic jacks creating a pipeline without the need to dig a trench. Jacking pipe have to withstand huge pushing forces from the hydraulic jacks. Jacking pipes are fitted with steel collars to keep the pipe aligned during the tunnel construction. Jacking pipes are mostly used for sewer, waste water and for housing utility lines where open cut trenches are not possible. 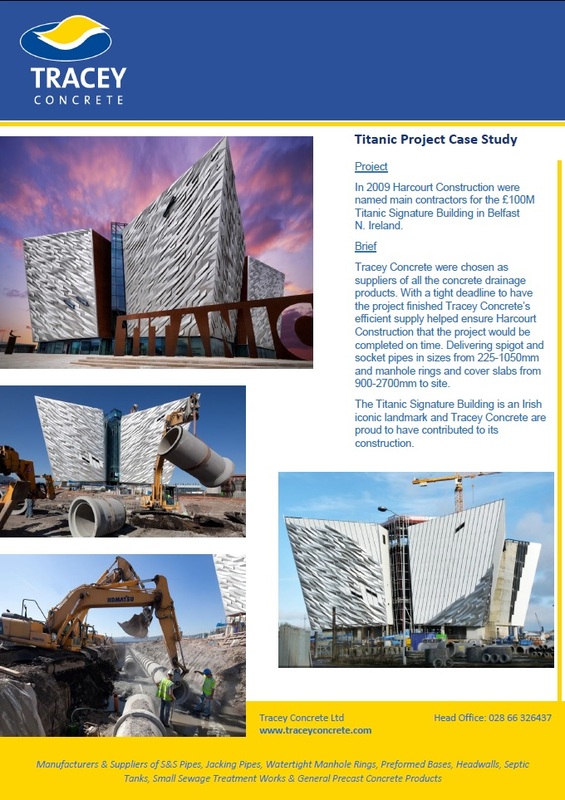 A watertight seal is also used in Jacking Pipe installation similar to Spigot & Socket Pipes.